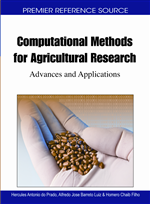 This chapter examines the measurement of motion in agriculture. Not only in Brazil, but in several Latin-American countries, important changes have been observed in the geographical distribution of the agricultural activity. They may take different forms, such as occupation of new areas or reallocation of particular products to areas that were already under some form of agriculture. Besides, in any year, for a given level of geographical subdivision, the distribution of a product shows spatial concentration; but the places which concentrate a substantial portion of the total production may change from year to year, and different subsets of the total territory occupied by a product may move at different speeds. Three distance measures will be introduced in order to assess the motion of individual products; two of them correspond to mathematical concepts, while the third one gives the terrestrial distance between national centers of gravity of the products. The fact that the agricultural area of a country changes over time has long been a subject of study in Latin America. In many cases, the studies have explored the concept of agricultural frontier (Comisión Económica para América Latina, 1983). This approach has been particularly relevant in the case of the Brazilian agriculture (Mueller, 1983; Sawyer, 1983; Homem de Melo, 1983; Mueller & Martha Júnior, 2008). In this type of studies, there is a special interest in the description of changes in policies that resulted in the expansion of the agricultural area (internal migrations, credit programs, roads opening, irrigation projects, etc.). Nevertheless, Sawyer (1983) mentions that, for some products, the expansion to new areas may take place at the same time as a retraction from traditional areas. Therefore, even if characterized on largely qualitative terms, the idea that agriculture may move from some places to others, at least with reference to a single product, was already present in these studies. In general, the emphasis was placed on the historical, sociological and political aspects which caused the changes in the agricultural frontier. In any case, there was no systematic effort to provide some form of measurement of the extent of the observed changes.